As more and more security issues arise on the internet, we are looking for better ways to protect ourselves. Mobile devices contain our whole worlds on them, so security is a top priority. Messages, phone calls, email; they are all at risk. The Pryvate Now app wants to assure you that they have the encryption you can trust. “Winner, 2016 Best Business App – Best Mobile App Awards. The #1 choice worldwide for professionals requiring military-grade encryption technology and unrivalled secure call quality. No “government back doors” here. Unlimited chat (Instant Messaging), video chat, picture messaging and email communication around the world. Experience crystal-clear call quality and the most secure communications protocol on the planet. • New secure email with easy setup. • Easy signup process right in the app. • 30 day free trial. 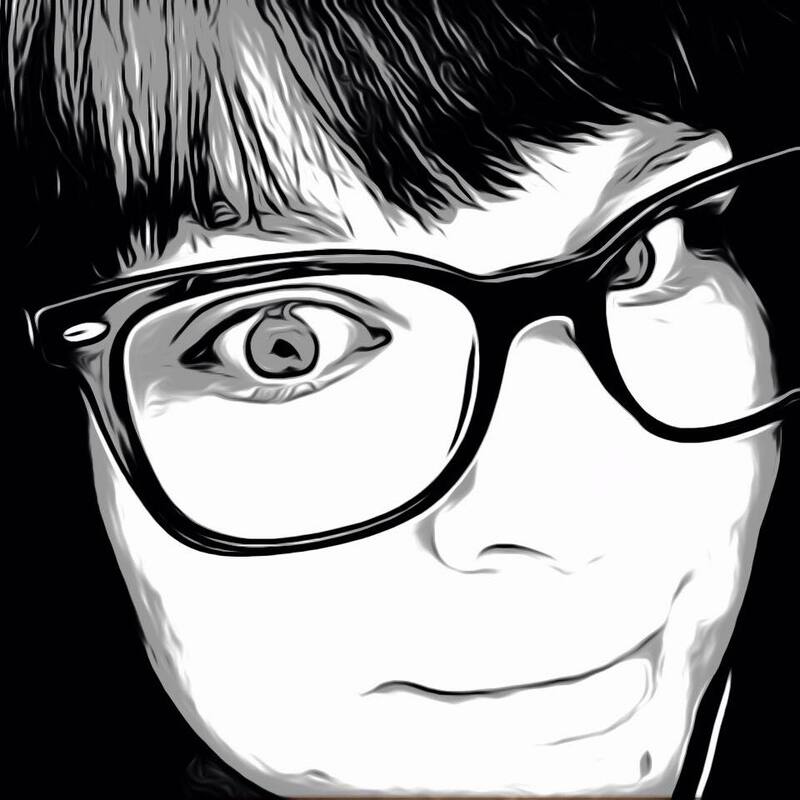 Auto-default to Pryvate Lite Free. Upgrade in app at any time. • Presence. 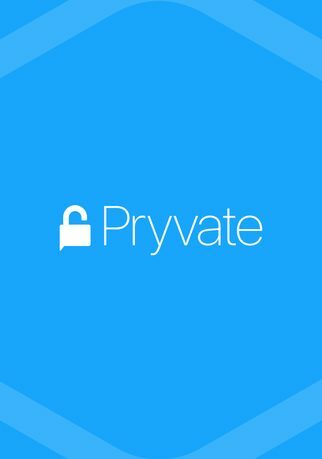 See the online status of your Pryvate contacts. • Agnostic email that now integrates with Microsoft Exchange. 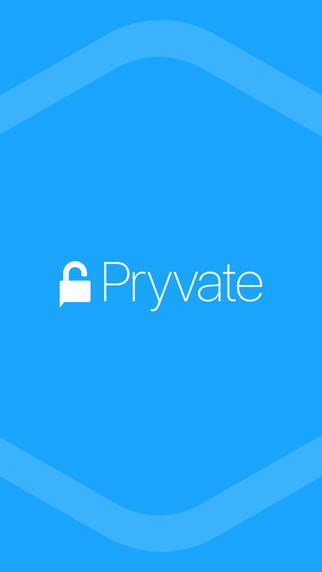 Ensure your communications privacy today with Pryvate. Nothing can PRY into PRYVATE! Pryvate Now is built as a one stop secure information portal with email, chat and video message capabilities. First, register for an account with an email address and phone number. This will activate your 30 day free trial. Next, grant access to your contacts and a pin will be texted to the number provided. Verify the pin and you will have phone call and message capabilities in Pryvate Now. An email will then be sent with a temporary password to set-up the encrypted email service. After signing in with the temporary password, choose a four digit pin to protect email access within the app. Now you are all set to send your fully encrypted messages. My favorite feature from Pryvate Now by far is the secure email. Simply type your email like normal and hit send. The email will be sent to your receiver with a message stating they have received an encrypted message and it is attached. It will indicate it is from your email address and everything so the receiver recognizes it. There is a bit of a catch. Since it is encrypted, the only way for the receiver to read it is with the Pryvate application. In fact, all of the features included require that the contact you would like to communicate with be on Pryvate Now as well. 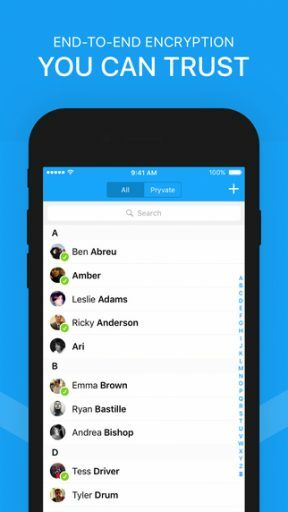 You can invite all of your friends by email or text message and once they join you can call, chat and email them all within the app. Of course, all messages and call history can be easily destroyed at any time. The free trial is for 30 days, after that you must upgrade with a monthly $5.99 subscription or $59.99 yearly. Pryvate Now certainly has many bells and whistles to keep your information as secure as possible when it comes to your communications. It is restricted to contact within the app and it does come with a price, but sometimes the peace of mind is well worth it. Pryvate Now is available for free in the App Store and is compatible with iPhone, iPad and iPod Touch.